Nearly every year I "discover" a new drink either unexpectedly stumbled upon it or having someone introduced it to me. Earlier this month I was invited to a group dinner at a Nigerian restaurant named Miliki in Oakland. I had never ever had Nigerian food, and most people in the group were the same. Our host, a Nigerian native, patiently described everything and even order a variety of appetizers for us to try. I was very impressed with the flavors of everything. Nigerian food is not much on presentation but more of comfort food. They don't look all that fancy and pretty in photographs, but they taste great and very satisfying. I always check out the beverage section in ethnic restaurants to see if they have interesting drinks. As everyone else in the group enjoyed wine, I asked the host what "Maltex" is. As soon as he said it is a popular drink in Nigerian and confirmed it's alcohol free, I wanted to try it. A dark beer looking bottle was brought to me. I took a sip with a straw and was immediately intrigued. It tasted great and reminded me of molasses. It's carbonated and sweet but tasted natural unlike regular soda. I looked up Wikipedia for more information as I sipped more of my new drink. 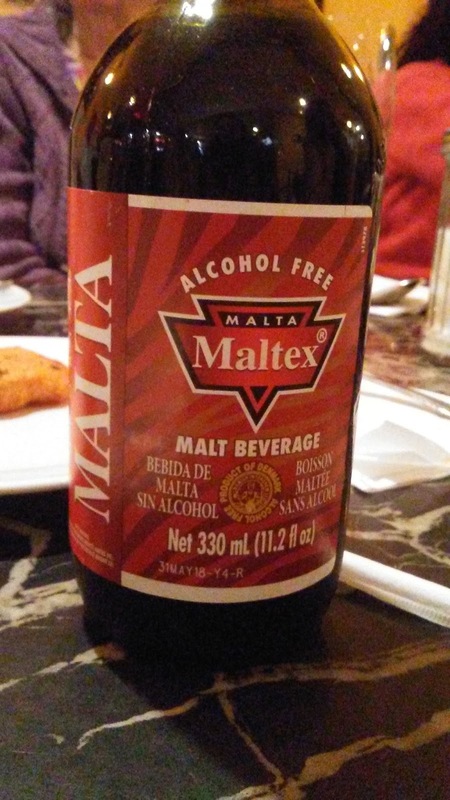 The first sentence in the article is "Malta is a lightly carbonated malt beverage, brewed from barley, hops, and water much like beer;...". Wow, so this is what beer would taste like before it turns into an alcoholic drink? I can't stand the way beer tastes, but malt is delicious. I also noticed on the bottle that Maltex is actually imported from Denmark not Nigeria. Another surprise. I felt a little sad as I finished my first bottle of Malta. After I got home, I searched the net to see where I can get more. I could not find anyone carrying the exact brand in nearby stores, but discovered a different brand called Vita Malt on Jet.com, where I order my dog food sometime. Vita Malt is another company in Denmark that makes malt drinks. 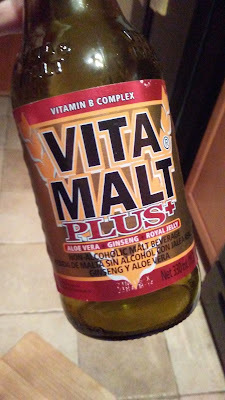 Vita Malt Plus has aloe vera, ginseng, and royal jelly. It's marketed as a type of energy drink. It's packed with vitamin B complex. It sounds fantastic! 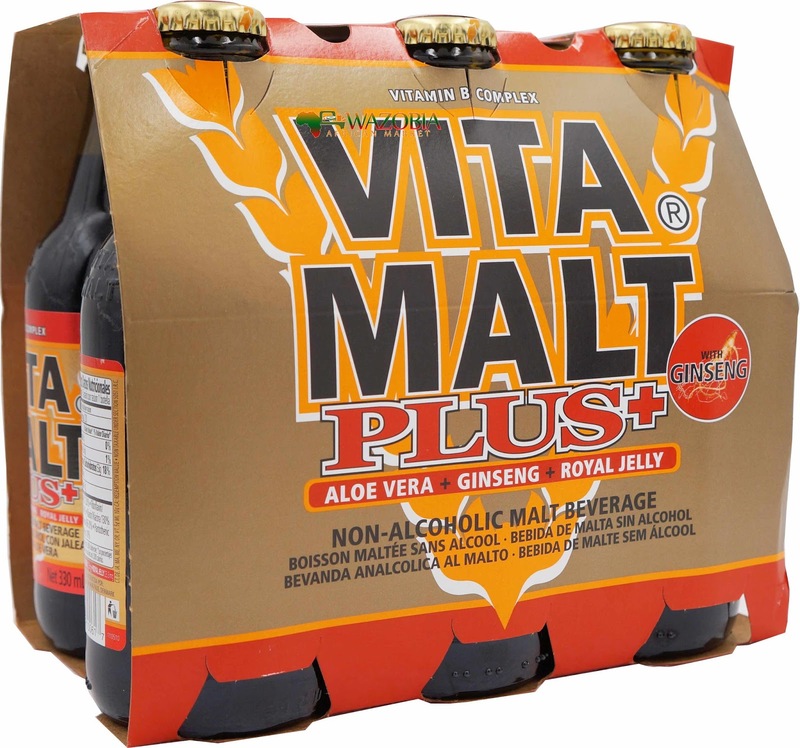 As I dug more information on Vita Malt Plus, I came upon an extremely negative review on the drink on The Soda Jerks website. The reviewer thought it tasted so disgusting that he had to throw away the rest of it after a couple sips. Hummm.... would I feel that way? I scroll to the bottom of the review, and many people commented in defense of malta. Secondly, the reviewer had no clue what royal jelly was. He obviously had not been exposed to as many nature's wonders as I have. I decided that I was not going to take his opinion seriously. I received my 6-pack of Vita Malt a few days later. I feel that I have much more energy after drinking it, and I love the way it tastes. I don't normally like soft drink and only drink soda occasionally, but this malt drink is good stuff. I can't believe nobody introduced it to me before.